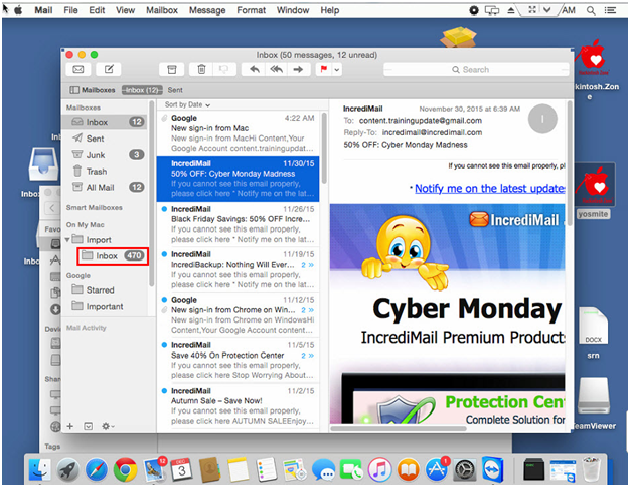 MBOX is a widely used email file format which holds emails in a plain text format in a consecutive sequence. 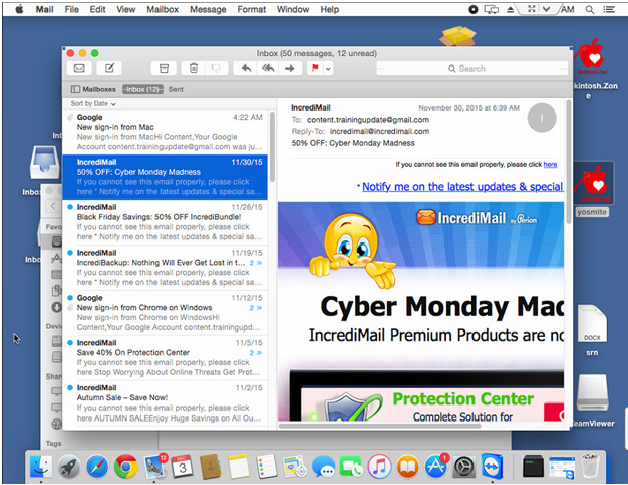 The file format is supported by a variety of email clients like Apple Mail, Entourage, Bat, Evolution etc. 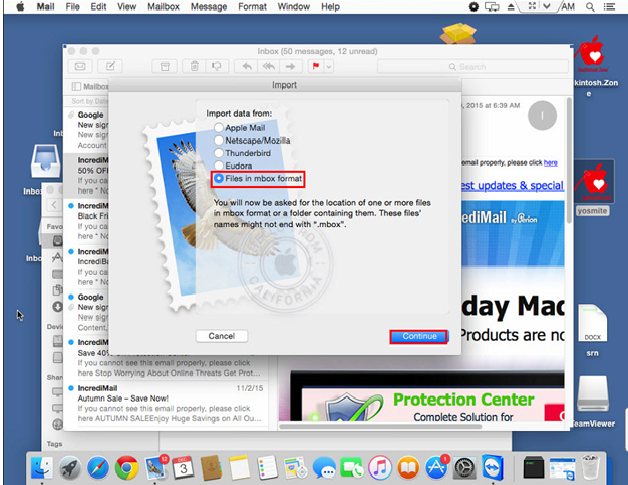 Below are some steps to import MBOX files to Mac Mail. Follow the given steps carefully. Step 1- Use an external device or a Pen Drive to transfer your targeted MBOX file data to Mac Mail. 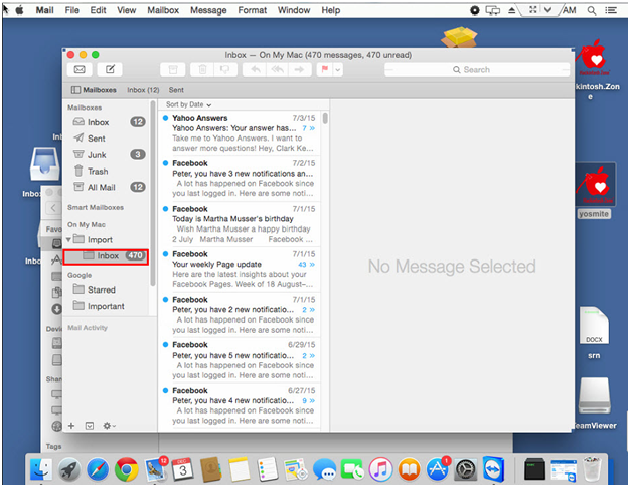 First open the Apple Mail app where to import the MBOX file. 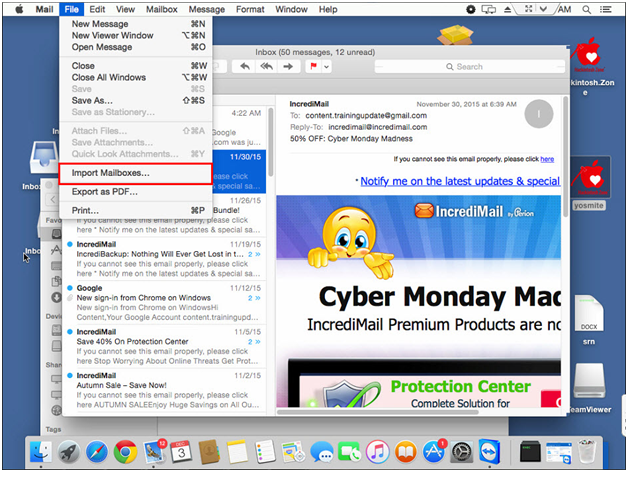 Step 2- In this step, click on 'File' menu and from the dropdown click 'Import Mailboxes' to import MBOX. Step 3- A small dialogue box will pop-up from where select 'File in MBOX format' and then 'Continue' tab. Step 4- Now in the next window get ready to select the targeted MBOX file from an appropriate location where you have saved the file and finally hit the tab 'Choose'. Step 5- The import process will start after that. The new window will show import of the file. The time for import can be varied as per the size of the file. Don't click cancel tab. Step 6 - As the import process is successfully done, a message will pop-up, click on 'Done' and the imported file will be saved in a folder named Import. Step 7- All the imported emails will display in the import folder quickly as the import process is accomplished. It will show the same folder name to ward off confusion. Step 8 - Click on the folder and all the emails will be featured. Apple Mail app has capacity to import all types of MBOX files and emails can be accessed once the process is done. The best thing is that the folder name will be remained same even after importing the data so there will be no confusion. 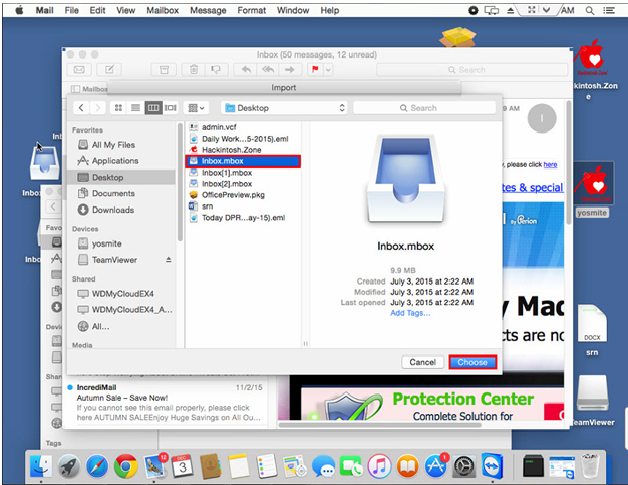 The MBOX files can be copied to the Mac with the help of a Pen Drive or an external hard drive. Carefully follow the procedures. Make sure you are missing no steps. The other options available in Mac OS are a little bit different.